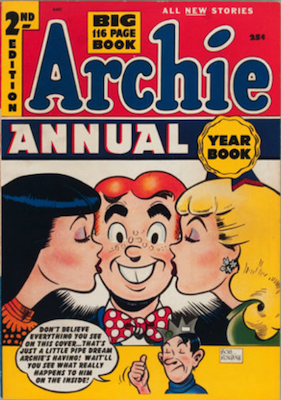 Archie Comic Books Price Guide #1-100 and More! 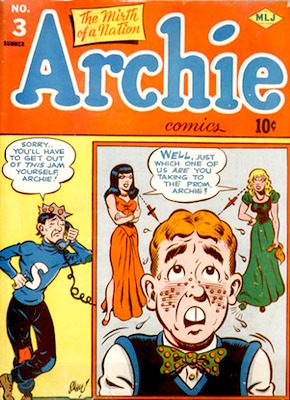 Archie Andrews, 'America's Typical Teen-Ager', has been published continuously since his first appearance in PEP Comics #22 in December 1941. 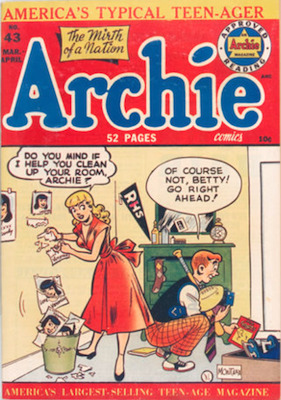 Putting together a complete collection of Archie comics would be virtually impossible. 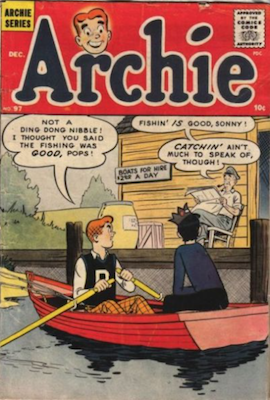 The double whammy is, the early issues are rare and expensive; and there are digests and numerous spin-off series, Canadian-only publications and overseas issues. 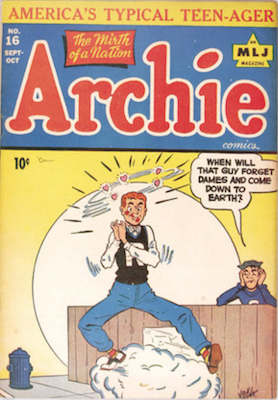 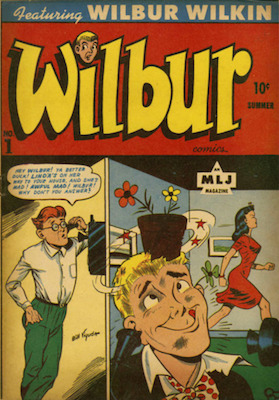 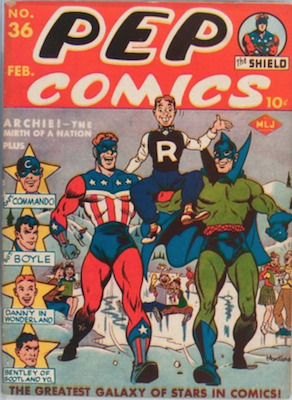 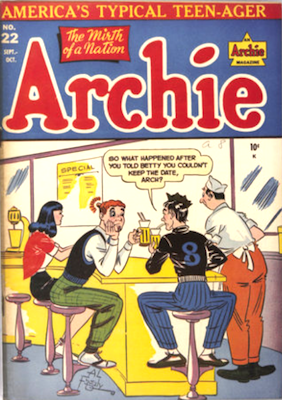 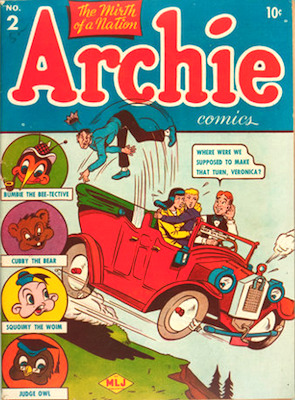 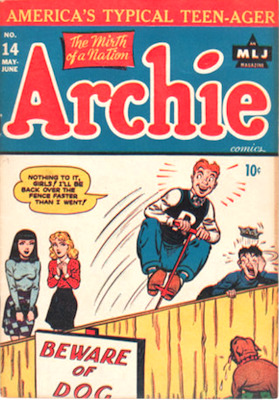 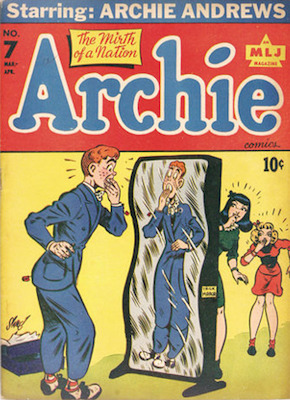 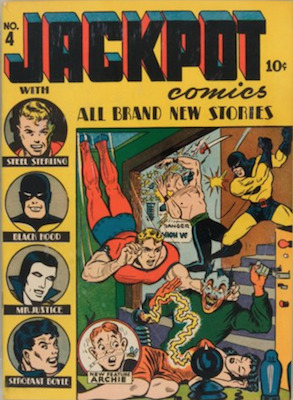 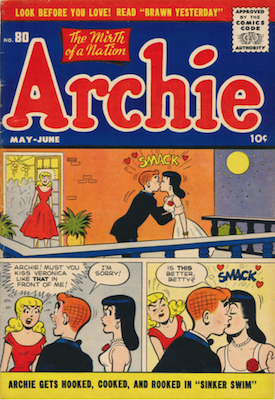 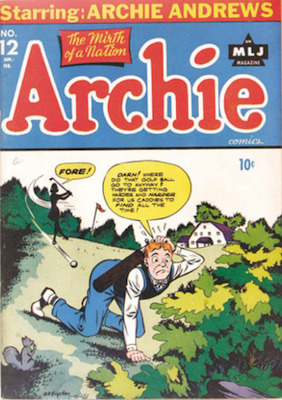 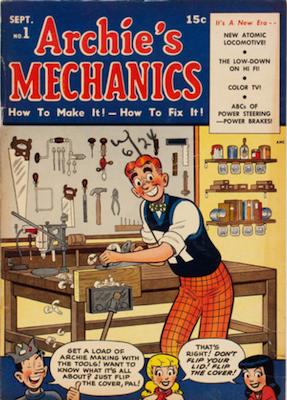 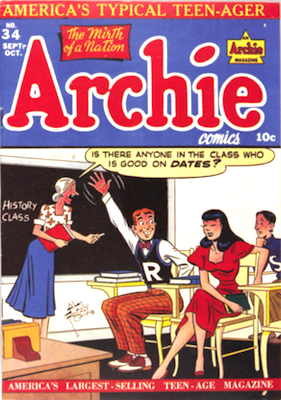 This page deals with the Archie Comic Books series published from 1942. 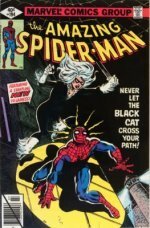 We provide record sales and minimum values for issues #1 through #100, plus some later key issues. 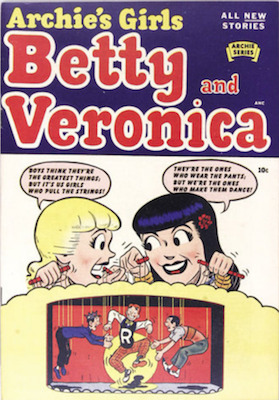 We have other pages for Betty and Veronica, Madhouse, Jughead and so on. 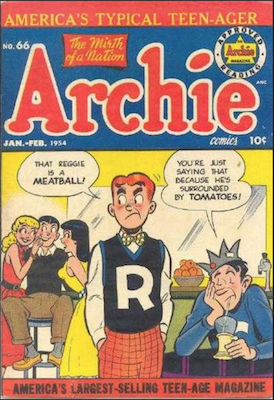 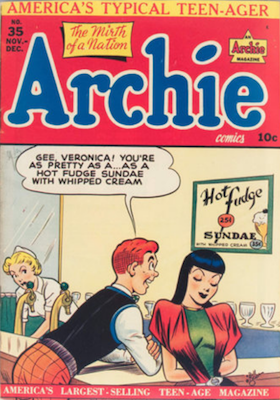 See our Archie Comics menu here. 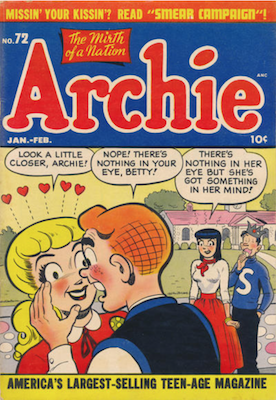 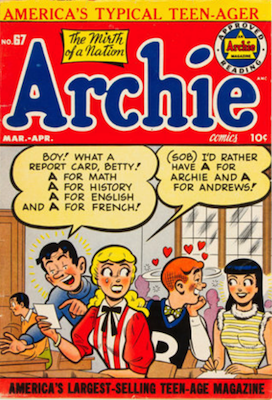 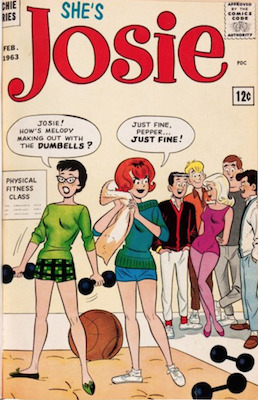 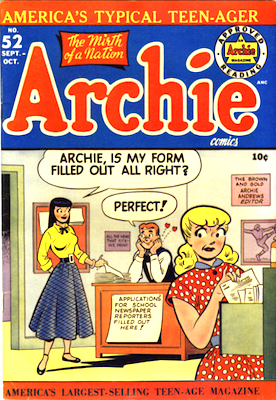 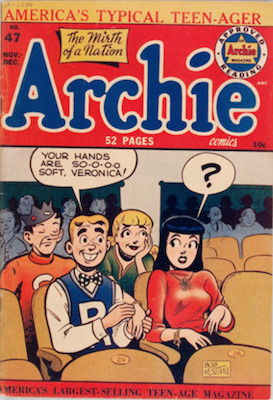 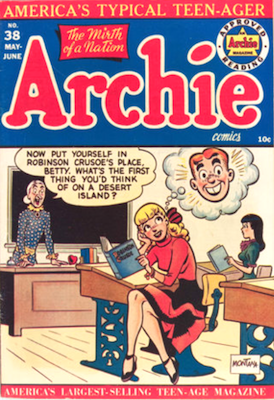 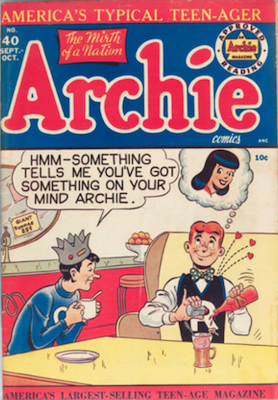 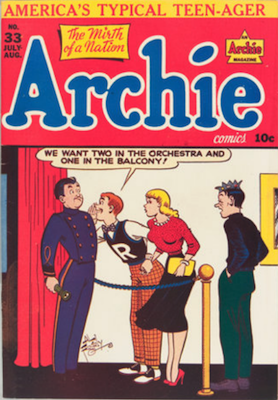 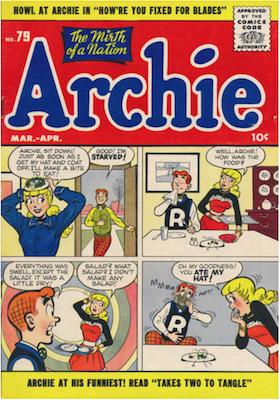 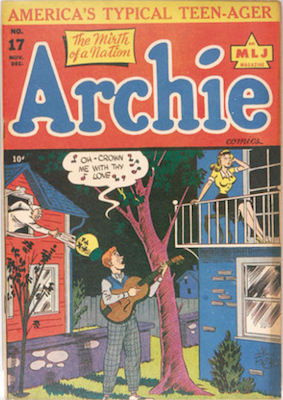 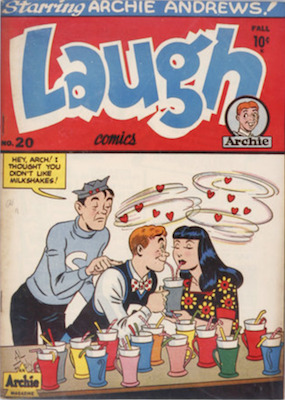 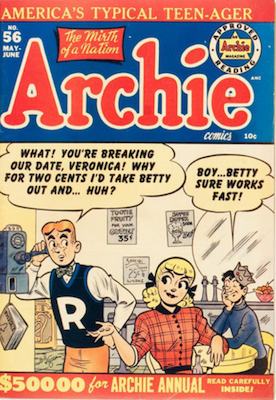 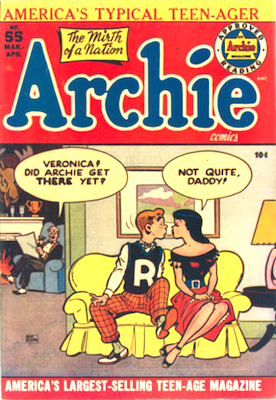 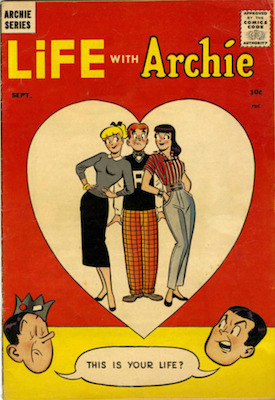 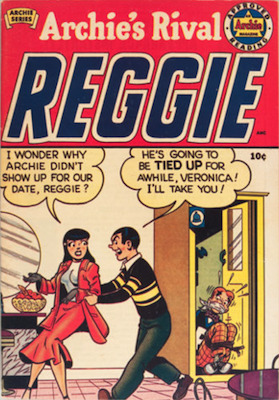 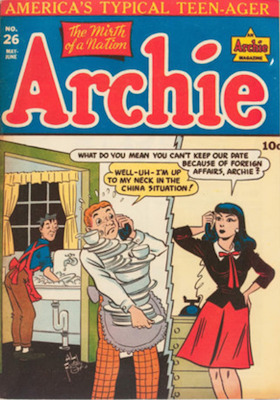 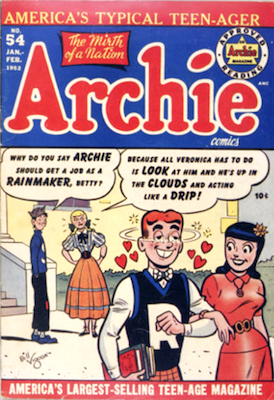 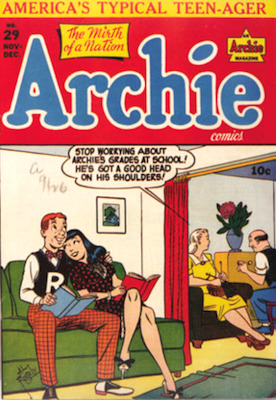 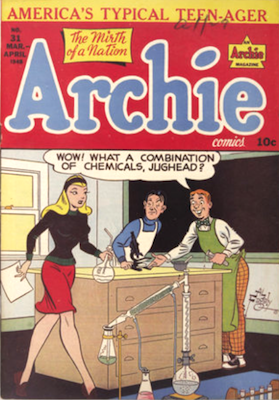 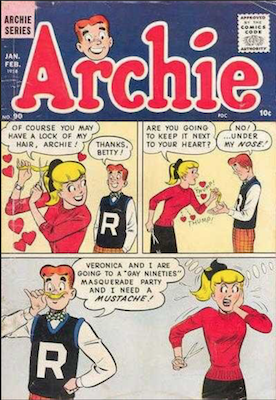 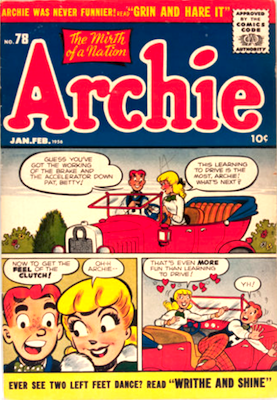 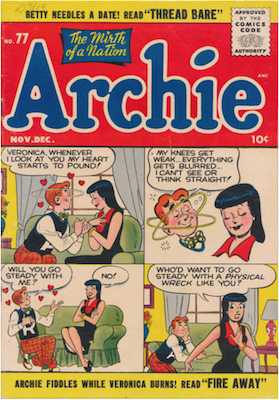 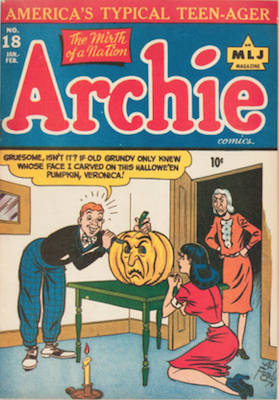 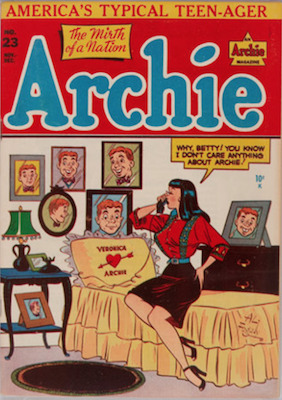 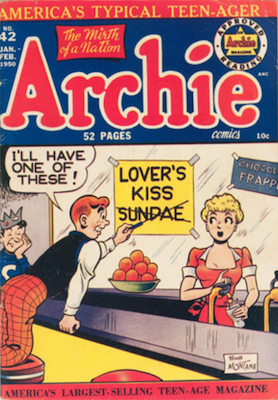 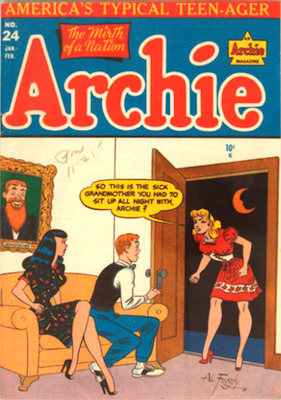 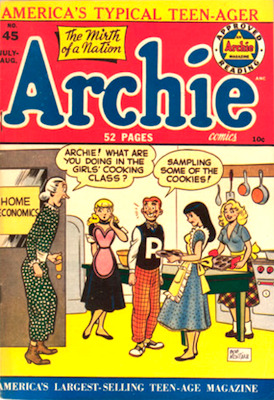 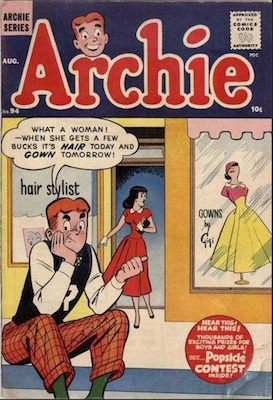 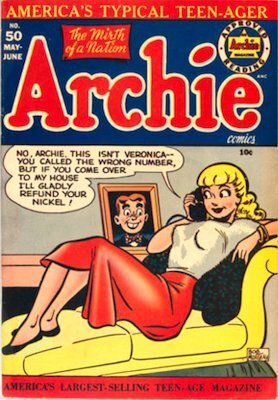 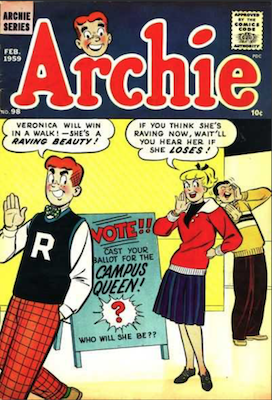 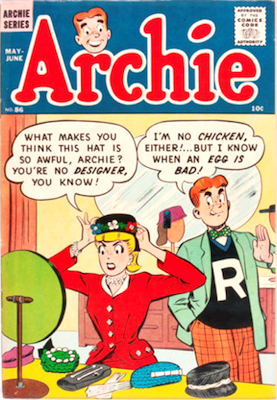 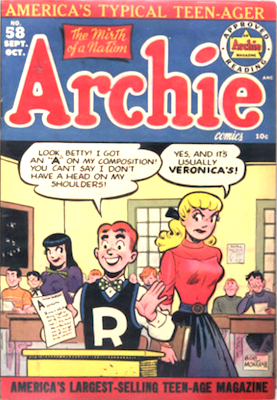 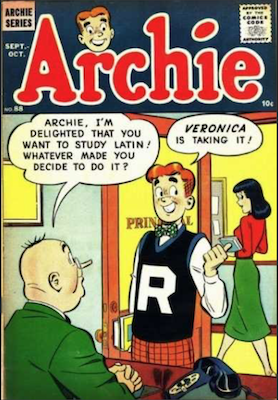 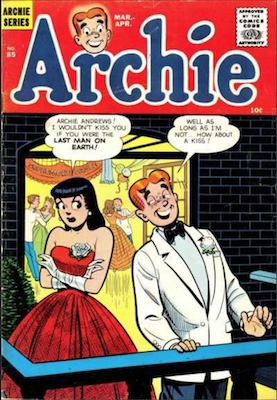 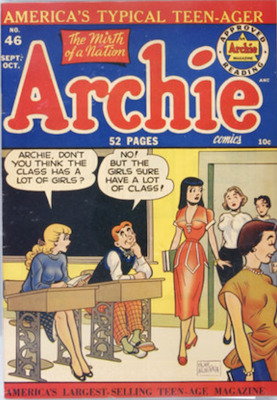 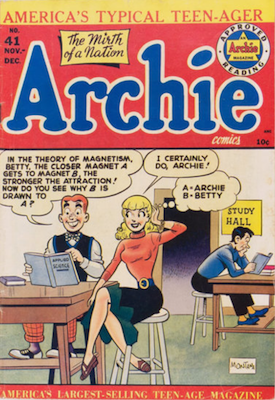 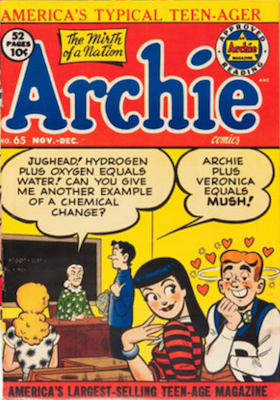 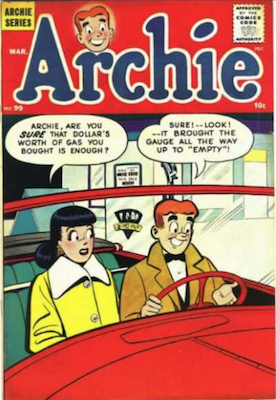 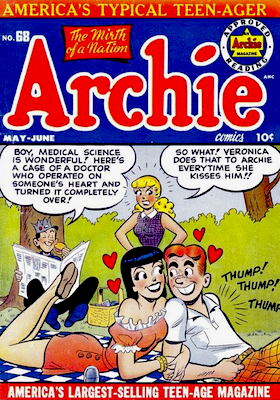 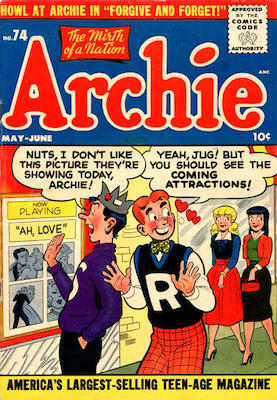 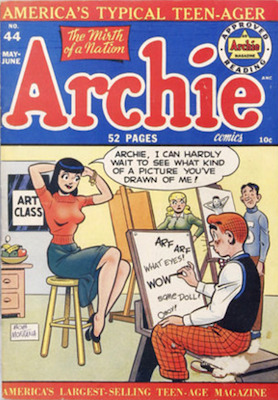 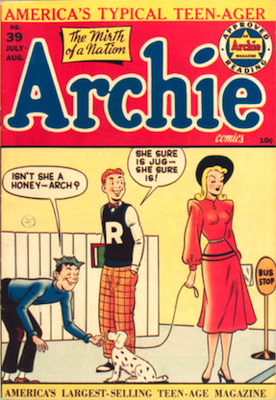 First appearance of Mrs. Andrews in Archie comic books, as well as appearances by Jughead and Veronica. 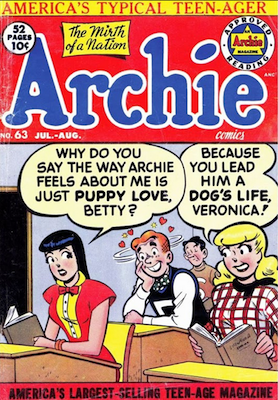 This is a bona fide Golden Age key issue. 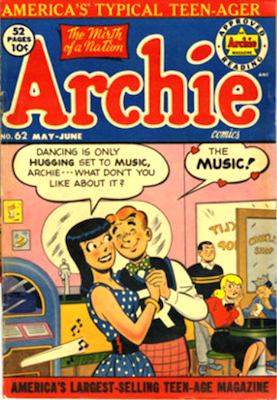 The record sale is now seven years old, set by a CGC 8.5. 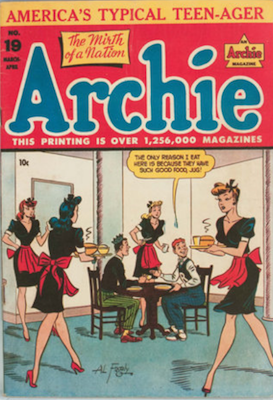 Certainly this record would be broken if the same book, or a nicer copy, came back to market. 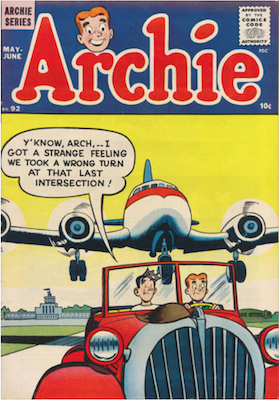 A 3.0 sold for $21,800 in August 2018; a 4.0 sold for $35,500 in March 2018. 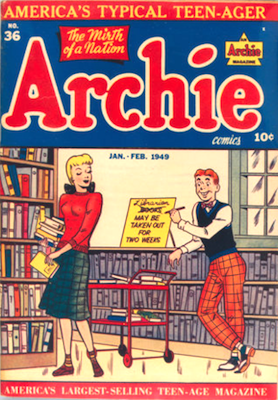 According to Overstreet, Archie Comics #2 is a rare comic book. 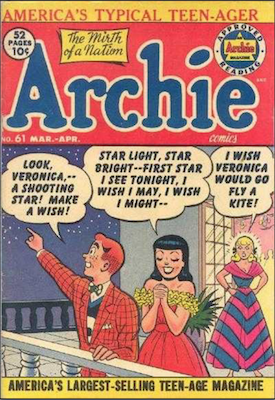 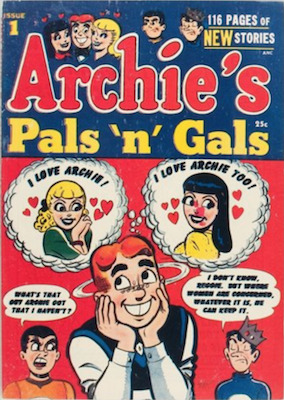 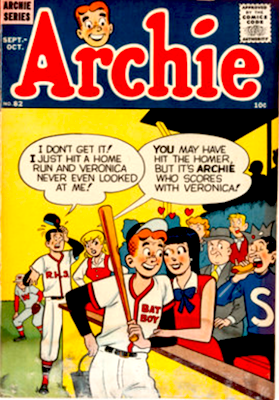 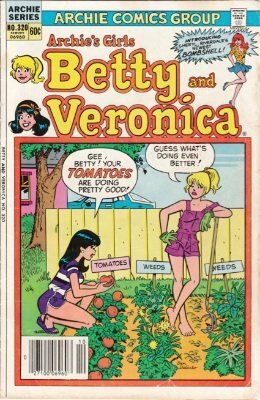 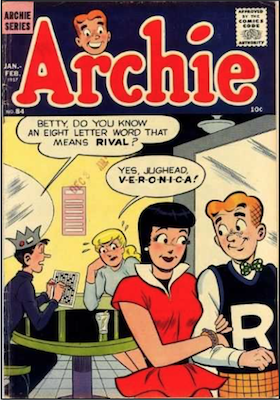 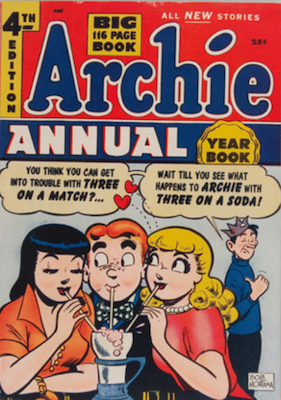 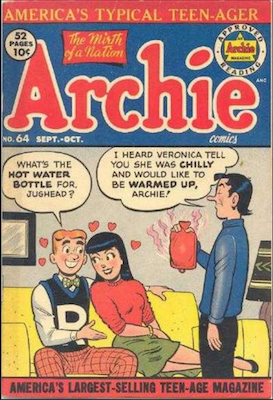 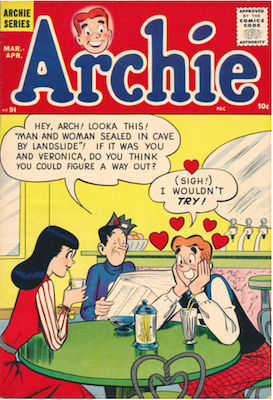 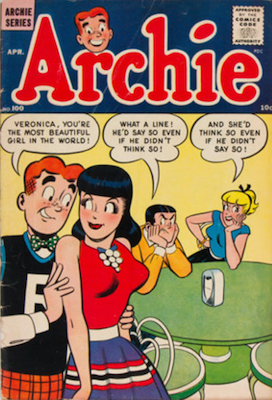 First love triangle story between Archie, Betty and Veronica. 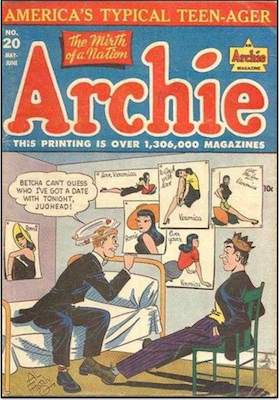 This is a scarce Archie comic book. 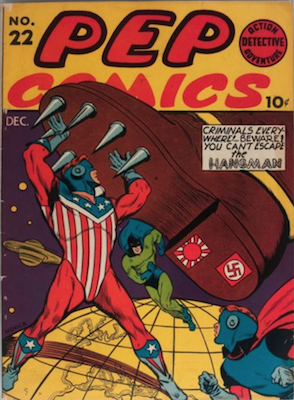 Only 17 unrestored copies are in the CGC census, and the nicest known is a CGC 5.0. 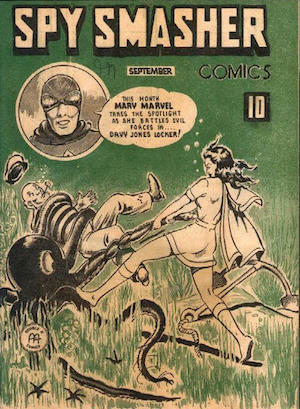 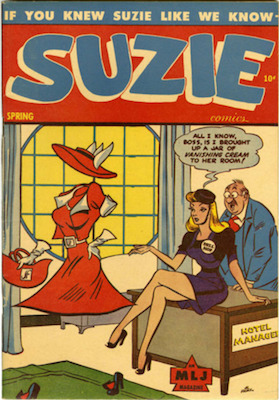 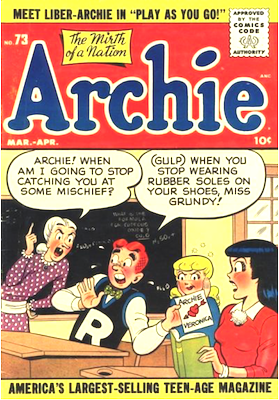 1st Miss Grundy cover appearance. 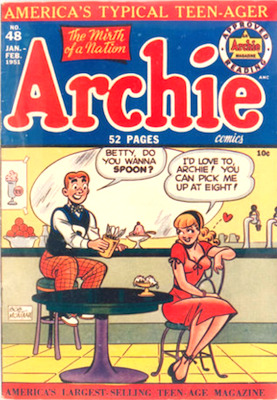 Classic "spoon" innuendo cover. 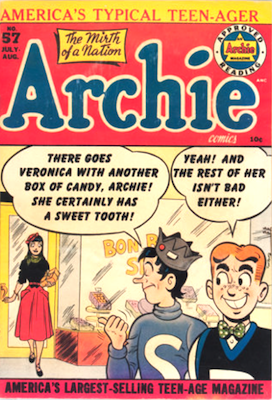 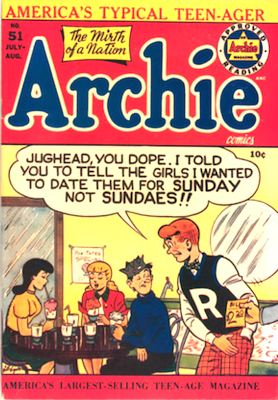 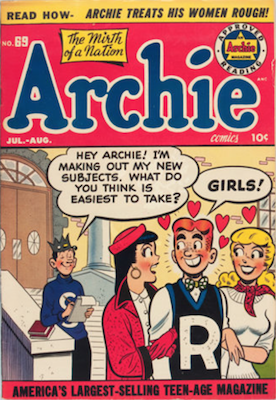 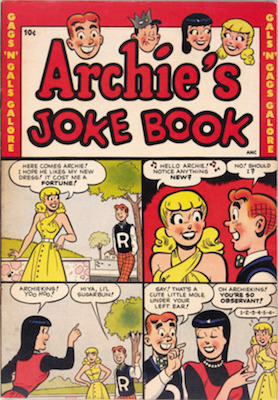 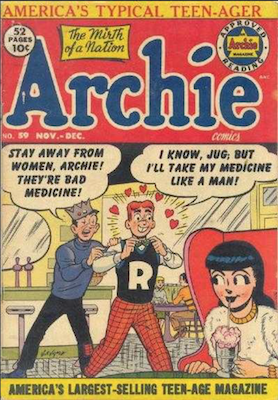 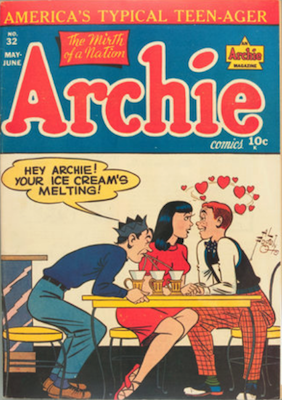 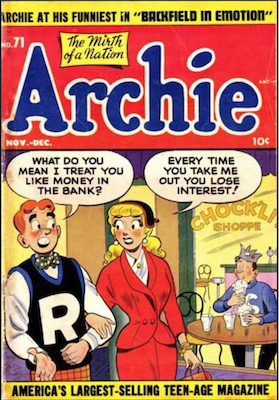 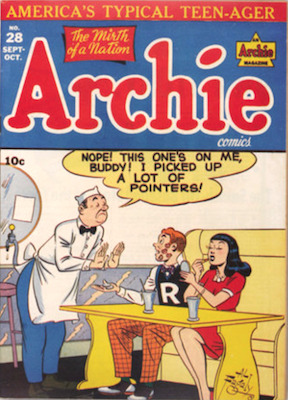 Archie comic books are famous for double meanings and puns to appeal to the adults buying comics for their kids. 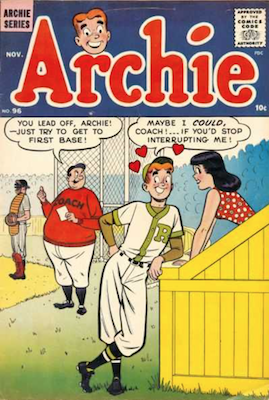 First appearance of Coach Keats in Archie comic books. 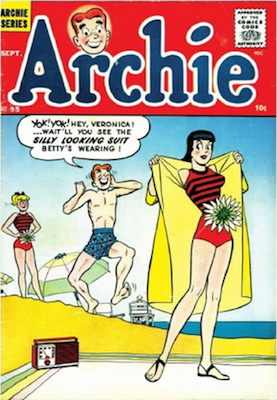 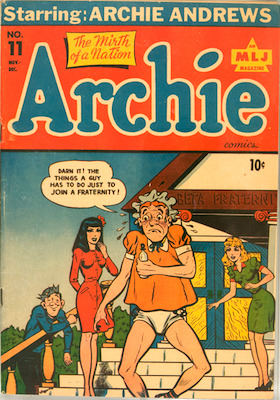 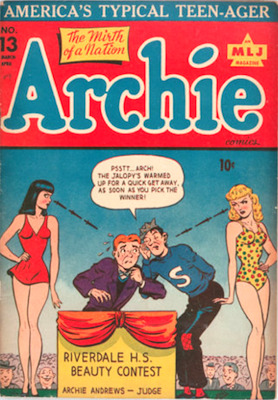 Swimsuit covers on Archie comic books are hotly collected. 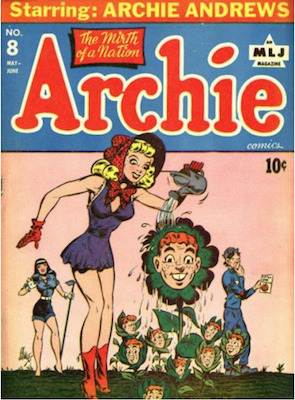 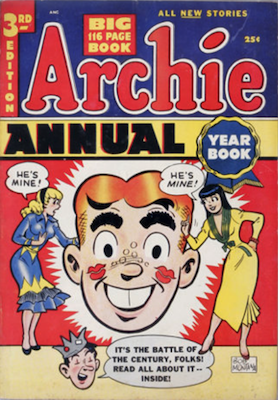 Archie comic books published giant-size annuals from 1950. 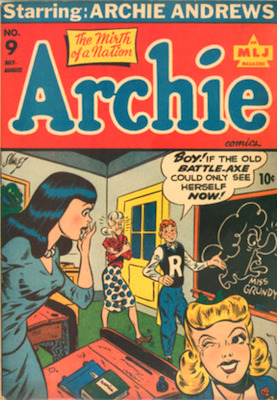 These over-size giant books typically do not show up in VF or nicer. 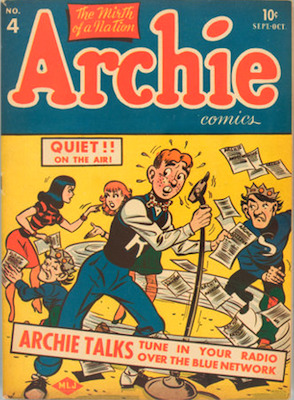 We have focused on the first five issues. 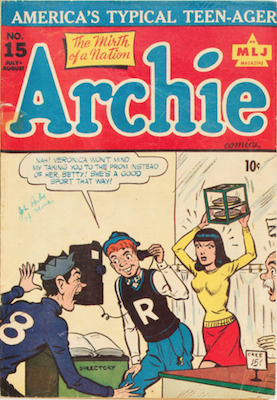 Later Archie comic book annuals are not as valuable. 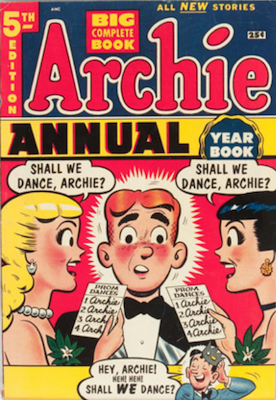 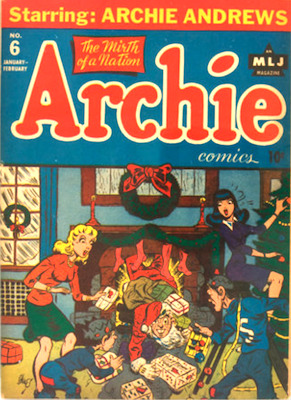 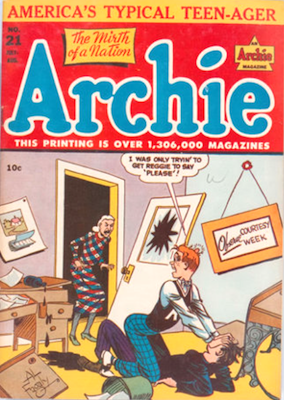 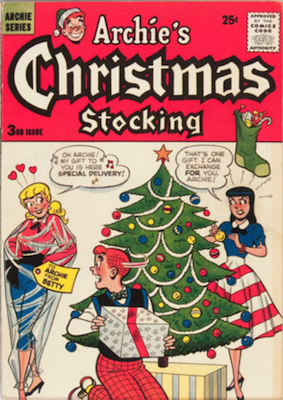 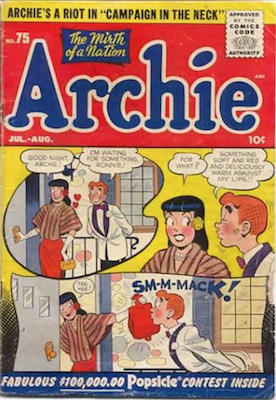 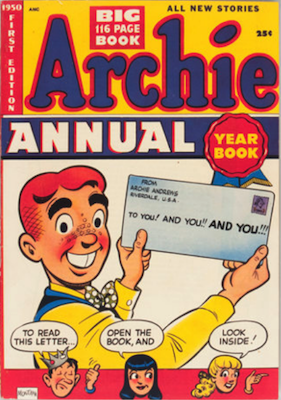 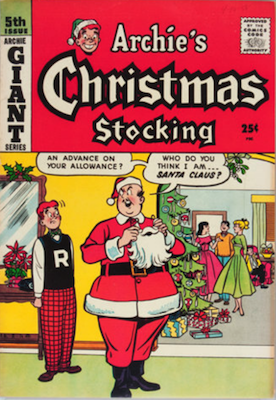 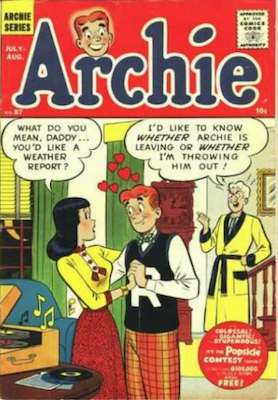 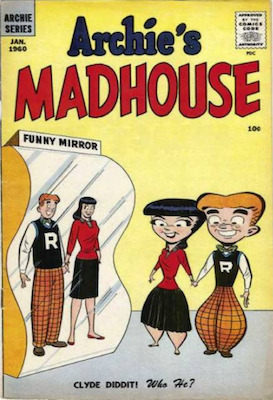 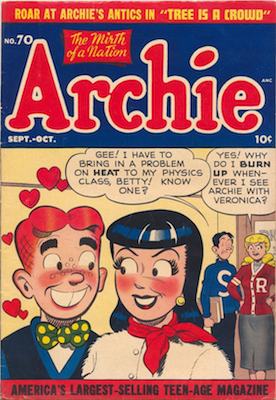 The Giant Series magazines are also known as Archie's Christmas Stocking. 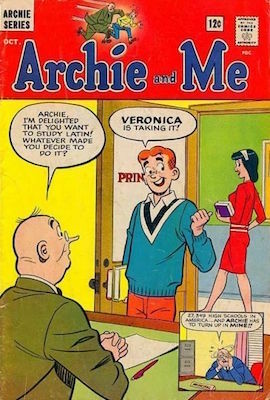 They were first published in 1954. 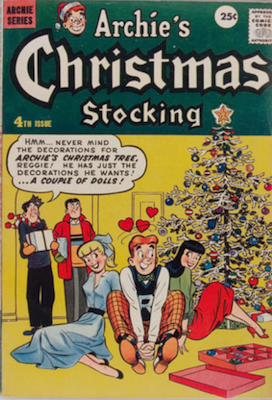 Naturally, they were created for the December market. 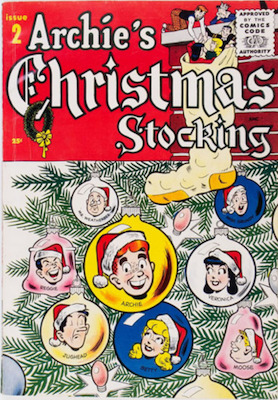 Due to their large size and purpose as stocking stuffers for kids around the holiday season, these books are almost impossible to find in VF or nicer. 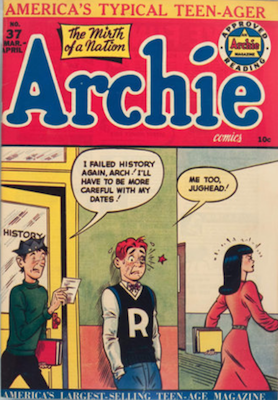 There are literally dozens of Archie series, so this is a small list of highlights. 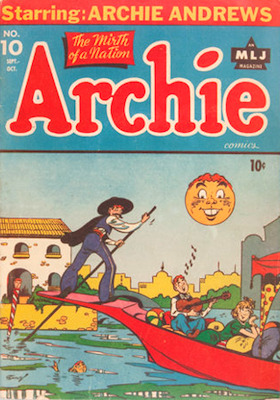 We will publish more pages in the future. 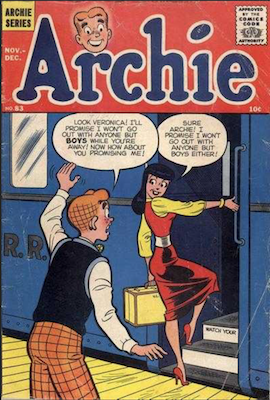 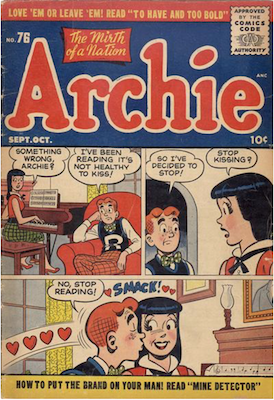 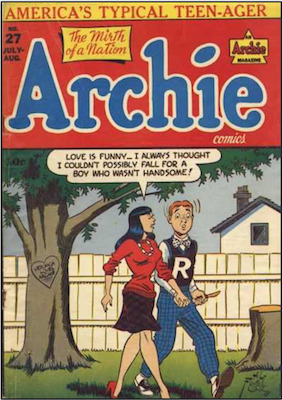 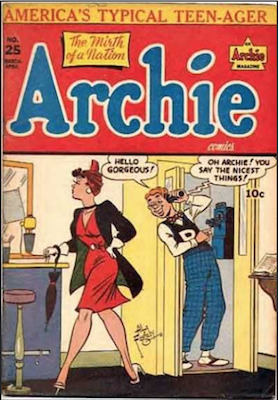 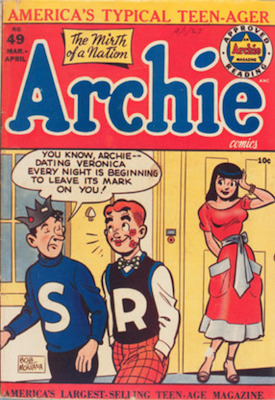 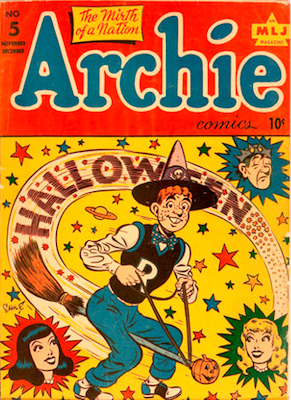 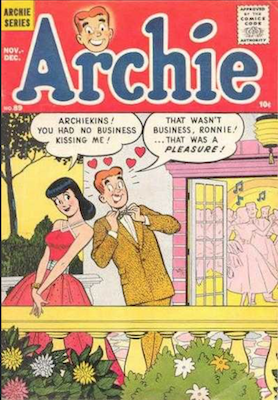 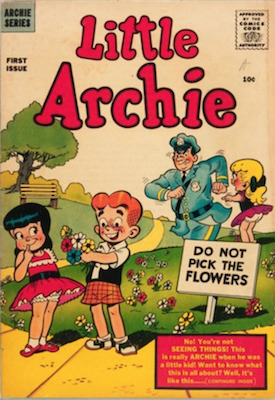 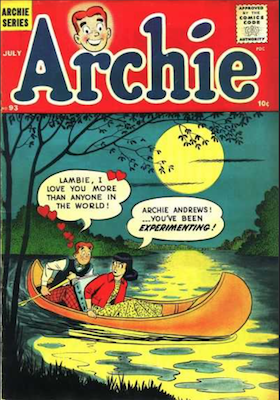 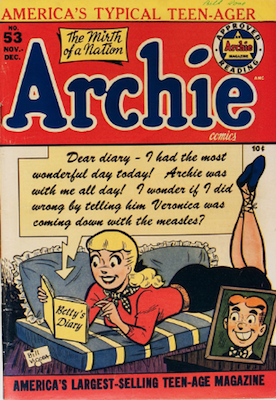 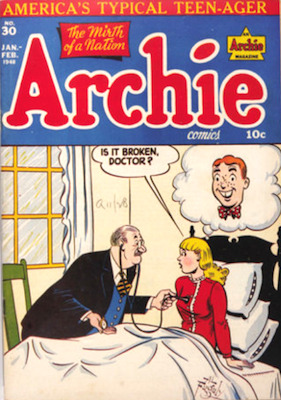 You can also check out early Archie comic books here. 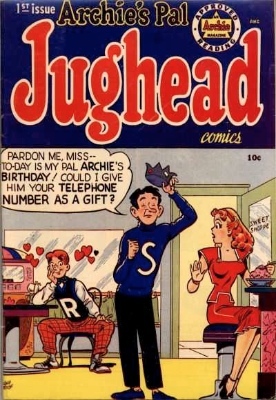 Jughead, Wilbur, Betty, Veronica, Cheryl Blossom... 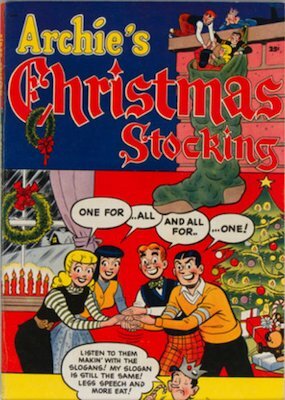 They're all here! 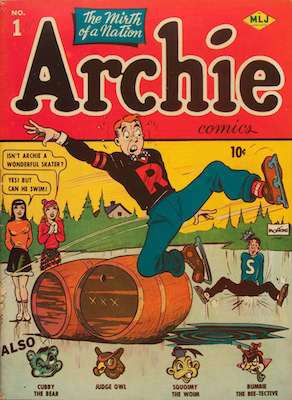 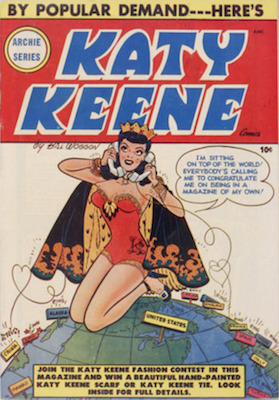 See the world's most collectible and elusive comic book issues, including early Archie comics. 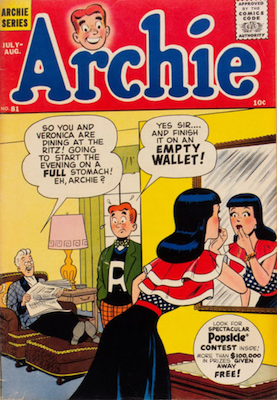 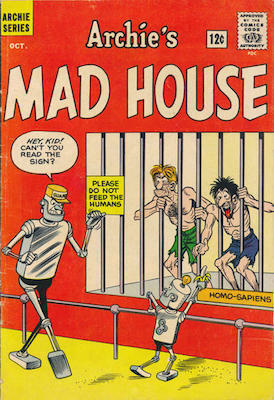 Archie Comics #1 and PEP #22 appear on the world's most valuable comics list. 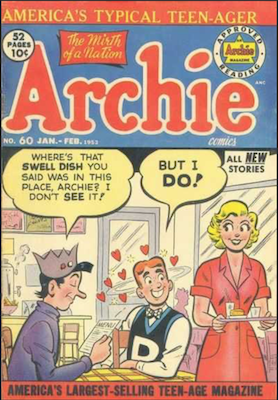 Find out where! 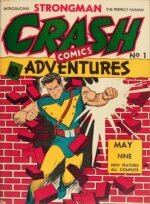 Our price guide to rare Canadian Whites comic books is a comprehensive list of these elusive books!